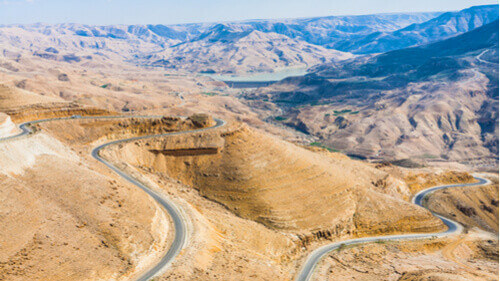 Nestled between Syria, Israel, Iraq, and Saudi Arabia, Jordan is a neat, compact little country brimming with ancient wonders, historic monuments, and untouched nature reserves waiting to be explored. Jordan is also widely known as a modern, friendly destination for overseas visitors, with little to worry about besides the usual suspects: bargaining with street vendors and the logistics of getting around in a different country. When people discuss Jordanian culture, they usually mention the Levant, which generally refers to a large area of Syria, as well as Eastern parts of the Mediterranean. Its etymology stems from the Italian word levante ('rising'), further popularised by the English Levant Company, which was established in the late 16th century to monopolize trade with the Ottoman Empire. Today, a broad modern understanding of Levant countries includes Cyprus, Jordan, Palestine, and Israel. Levantine identity encompasses the unique blend of history and shared culture – including ethnicity, food, customs, and crafts –between them. A couple of important document-related things to note: Jordan does require entry and departure fees – the latter is usually included in the cost of your return ticket, but check to be sure. The official Jordan Pass – which is available online and emailed to you immediately – is a great all-inclusive option that waives the tourist visa fee and includes subsidized entry to Petra. Print and carry a hard copy with you to be safe. Most foreign citizens can grab a visa upon arrival, while others have to pre-apply for a visa as well as security clearance at their local Jordanian consulates. Renting a car is reasonable and petrol prices are state-controlled, which means there aren’t usually a lot of surprises. Driving is generally easier than expected, although the real challenge lies in reading maps and actually navigating the roads, as names and numbers can be wildly inconsistent. Many visitors have lamented that estimated driving times are usually longer than anticipated, so keep that in mind if you’re due to be somewhere at a certain hour. Police checkpoints are a normal sight – no worries, they usually just want to see your passport and say hello. Try and stick to driving during daylight hours – even on the highways – especially in winter, when it can get dark quite early. That being said, hitchhiking is quite a common sight along the King’s Highway. Jordan is considered to be a very safe, welcoming destination for tourists, and has a more socially liberal vibe than some of its neighbours. While Arabic (and various associated dialects) is the national language, English is widely spoken, especially among younger people in urban areas. 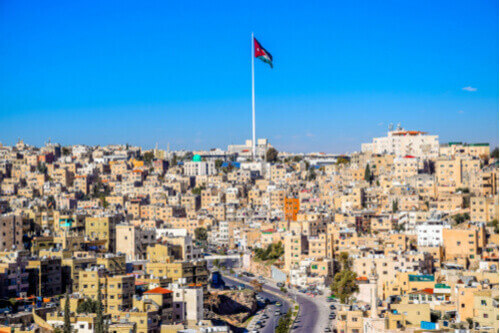 Jordan has a low crime rating and its citizens are generally very happy to meet and interact with visitors, especially if it means a chance to speak English. There is no particular taboo associated with drinking alcohol, which is widely available (try the local licorice-like liquor, arak, which is usually made of grapes and aniseed), but if you’re visiting during Ramadan, be mindful of local customs and the fact that most liquor stores will be closed; tourist bars and hotels that have a special license will usually stay open. The general rule of thumb is to be respectful of Jordanian practices and people, especially when it comes to religious customs, which includes wearing appropriate clothing to holy sites. 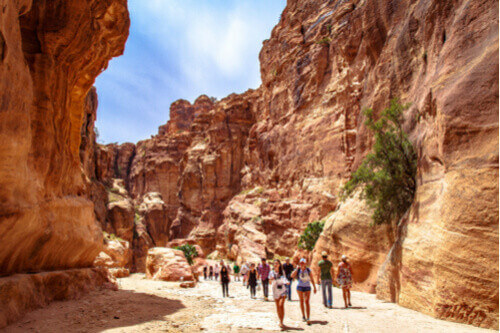 Depending on your plans, Jordan’s best sights usually require a lot of walking on raw, uneven ground, so bring some good hiking boots, sneakers, or covered walking shoes to check out Petra and its other ruins. As with most desert destinations, pack in layers – trekking about in the day can be hot, but temperatures start to drop as soon as the sun goes down. If you’re planning on going to Wadi Rum, the desert can get downright freezing, so bring a proper fleece and jacket. Women should bring a scarf or shawl for visiting religious areas. It is still considered unusual for women show their bare legs, so if you’re keen on shorts, pack some leggings to wear as base layers. Bring plenty of sunblock, a hat, some sunglasses, bug spray, and Dramamine or similar motion-sickness pills, because some of the curvier rural roads can be a bit tough to handle. If you’re heading to a seaside situation or The Dead Sea, bring sandals and a one-piece. Don’t forget moisturiser! Bedouins are the nomadic desert-dwellers of the Arabian Peninsula and North Africa, most of whom are Muslim and speak Arabic. 'Bedouin' is a broader term that encompasses many different tribes, including the Beni Hamida, Beni Sakhr, and al-Majali tribes in Jordan. 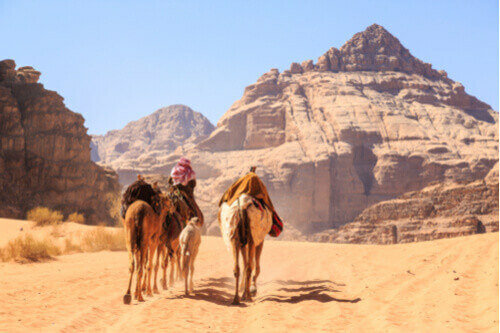 Jordanian Bedouins first made their way over from the Arabian Peninsula in the 14th century – today, Bedouin tribes make up over a third of Jordan’s population and vary between fully nomadic and part-nomadic lifestyles, and some have given up the nomadic lifestyle altogether. These proud, tribal people have historically relied on livestock, camel breeding, and even fishing as a means of livelihood. Many Bedouins who live around Petra and Wadi Rum run private camping services for visitors, featuring the accoutrements of their culture, like hand-knitted goat-hair tents, Bedouin cuisine and tea. 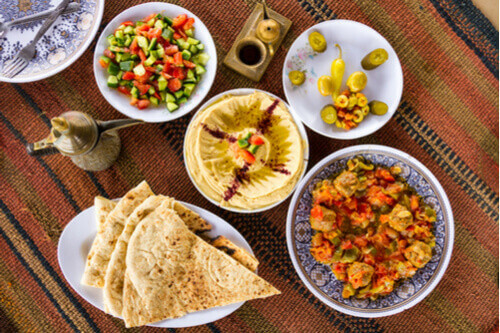 Thanks to the terrific multicultural blend that goes into Levantine cultures, Jordan has an incredible range of food for even the pickiest traveller. Try moutabel – a local eggplant-based yoghurt dip, manakis, an open-faced dough with a variety of toppings (yes, like a pizza), and fattet hummus. Mansaf – thin layers of flatbread served with rice, tender lamb, and fermented jameed yoghurt with almond pine nuts – is considered to be the national dish, and should be traditionally eaten with the right hand. Street food in Amman is a bustling business, and definitely recommended if you’re adventurous and don’t mind the potential risk of a tummy-ache – or make time to visit Hashem, one of the best known restaurants in the city.